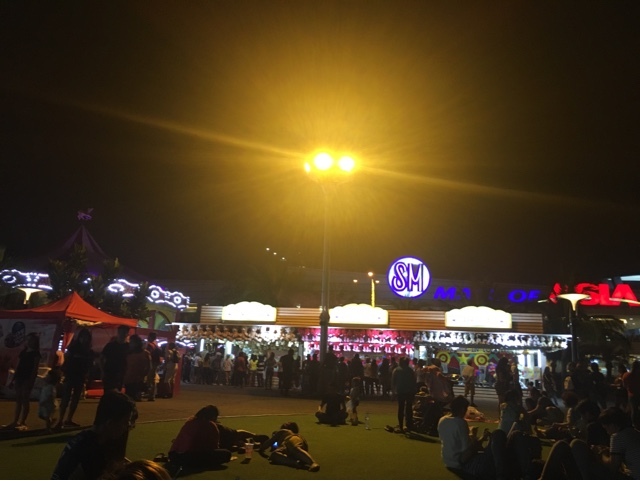 I was surprised to see how SM by the Bay was still alive late at night during a weekend last February. 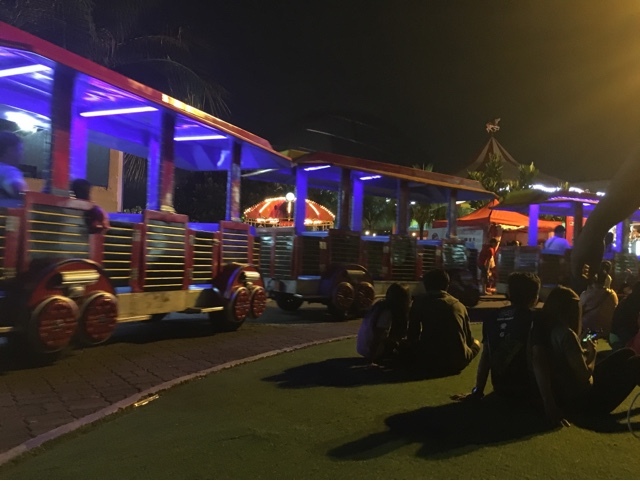 In fact, the rides were still servicing anyone interested to try. 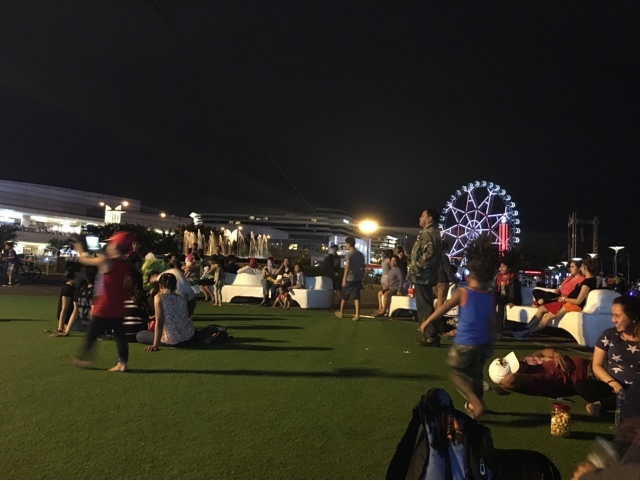 The makeshift grass lawn was also alive with people seated or kids and pets running around. 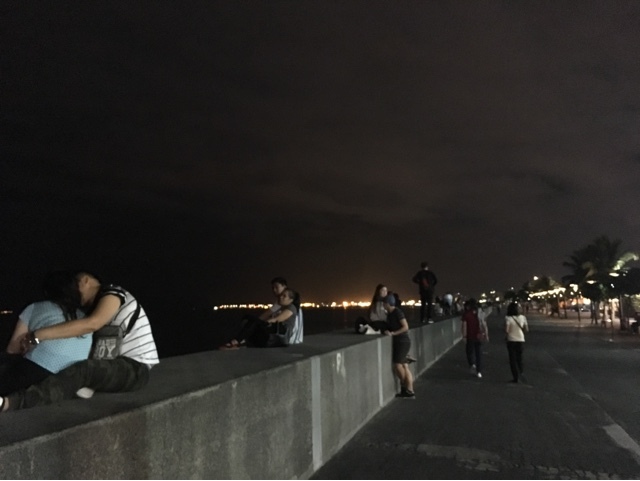 The seawall was also filled with people watching Manila bay at midnight. I have no idea if this was a special event (this was the weekend before Valentine's Day) but it was surely a good surprise. 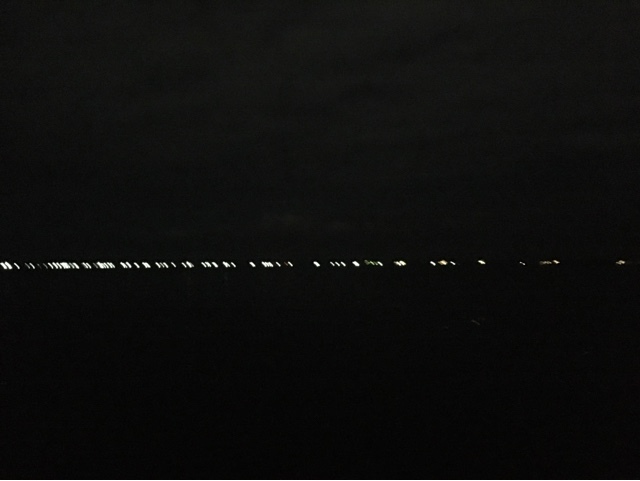 Here are some photos from that night. 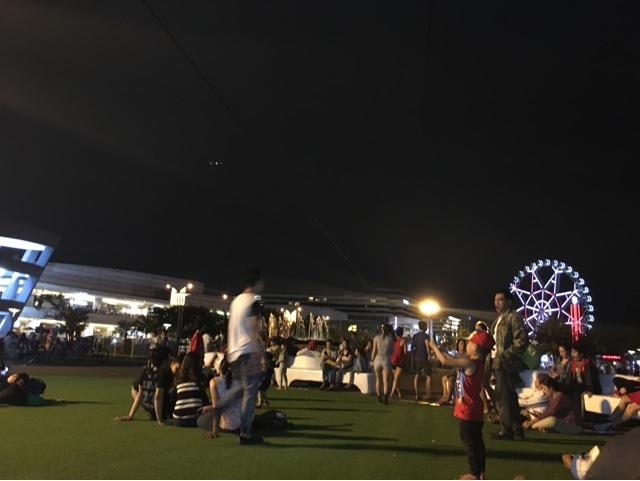 This was the makeshift lawn filled with people past mall hours. 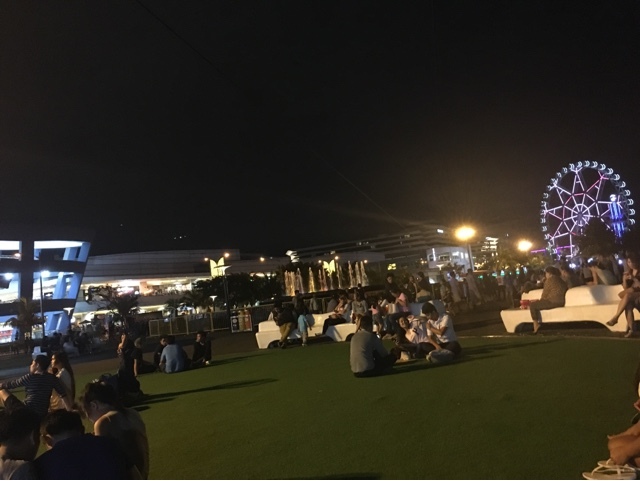 You'll notice the Mall of Asia logo from afar. There are also stalls selling stuff toys and other gifts. 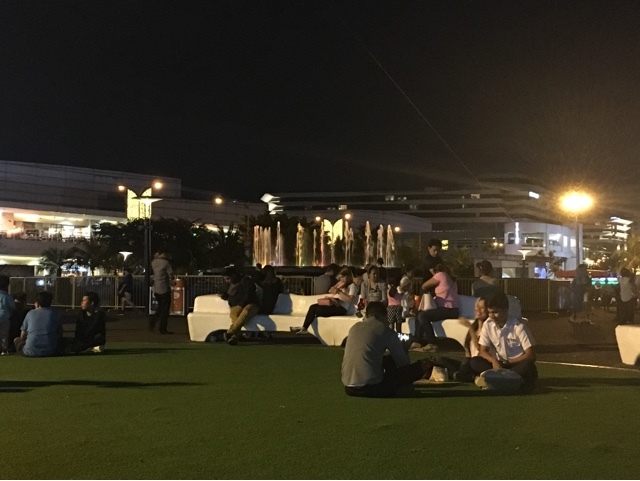 There were benches available for seating but some folks were lying on the lawn. Some appear to be sleeping too. The MOA Eye is noticeable in this angle. The Conrad, a hotel/casino building with a structure which resembles a ship, is visible on the right. The fountain was also on at that time. See the train still running (above and below)? 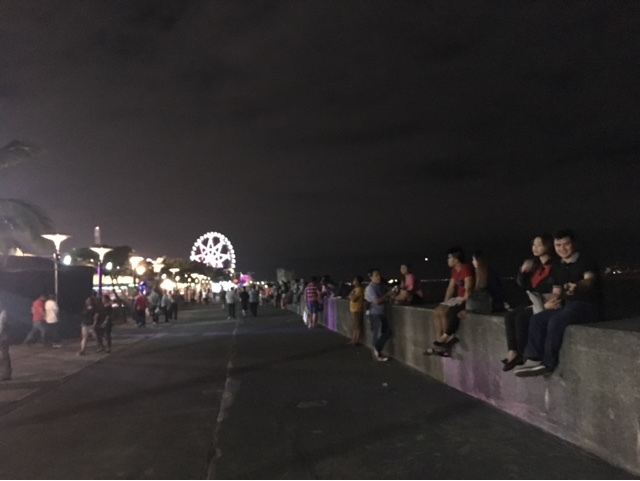 People are seated along the seawall. Some are also walking/jogging (above and below). 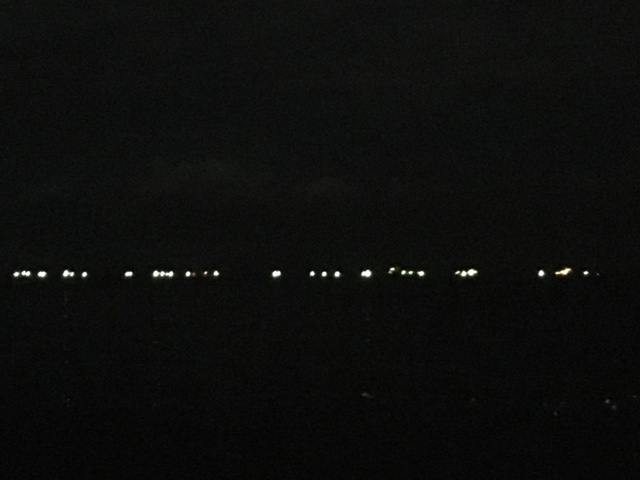 The flickering lights from afar is supposedly from Cavite. It's not clear from these shots. After checking, it looks like the place is indeed open now till 1AM. I guess I haven't been here for a while (or at least past mall hours) to notice.